This would make a great Christmas dinner dessert! 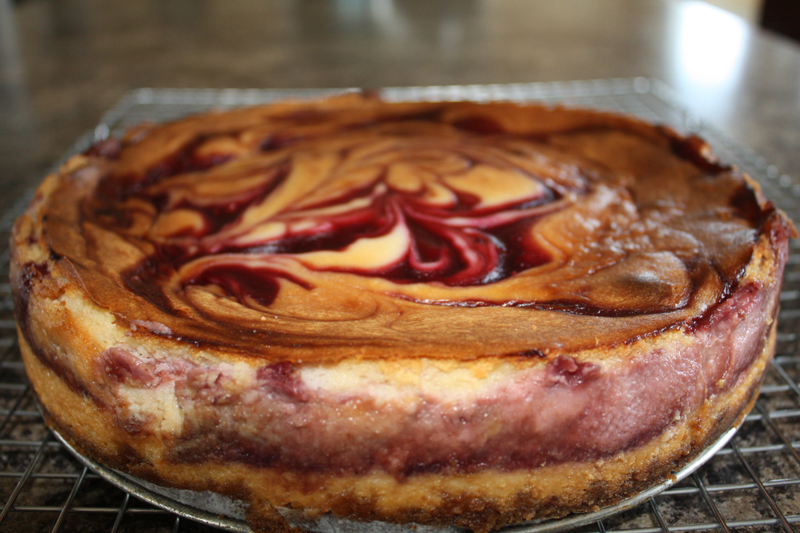 This recipe is a bit labor intensive so make only for special occasions….and yes cheesecake cravings are special enough occasions! 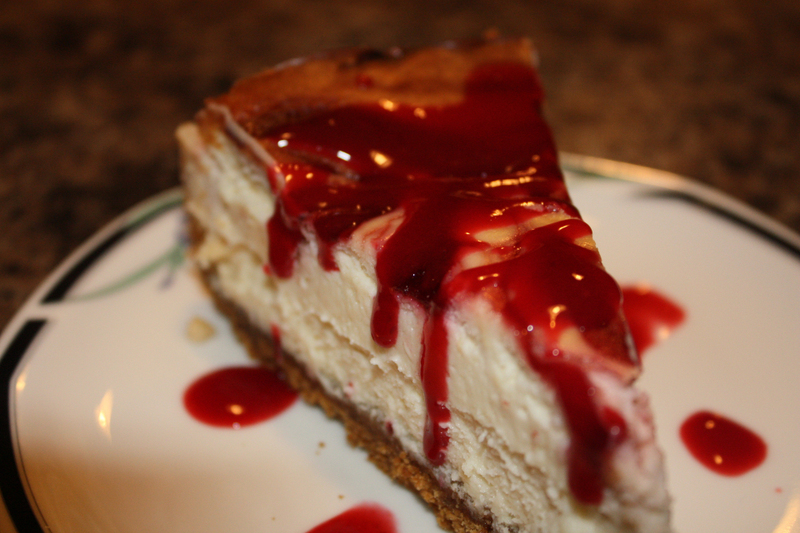 You need to make the raspberry sauce before you begin the cheesecake but you can do that while waiting for the cheeses to soften and the whipping cream to take the chill off. I forgot to take the whipping cream out and poured it in while cold and then the white chocolate chips and well….the white chocolate didn’t incorporate very well. Oh well, it was going in the oven anyway!! In retrospect if I had used the food processor instead of my Kitchen aid mixer it may have blended better. However, I did reduce the sugar and wanted to do raspberry instead.